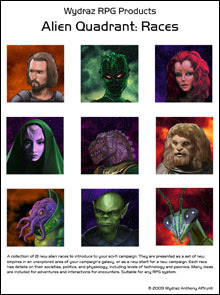 Wydraz RPG Products creates affordable "you-print-it" accessories to enhance your fantasy or sci-fi role-playing games. There is a criminal element in all cities, and in one city, one of those elements is a growing gang of goblins. Unlike common goblins living in the forests and caves, these are civilized goblins. They are integrated into society, and many are hard working contributors to society. But there is also a sizable lot that have taken to underground dealings and dark alley thuggery. One such goblin gang is known as the Daggers. They have taken over a lower class neighborhood by extortion, usury, gambling, thievery and blackmail. 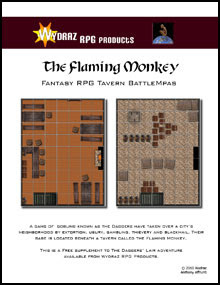 Their base is located beneath a tavern called the Flaming Monkey (see below). Can your party of adventurers penetrate the Daggers' Lair and capture the goblin gang's Boss? They'll need cunning to overcome crafty goblin traps. They'll need strength to overcome the Boss' best bodyguards. And they'll need luck to capture the Boss before he captures the party. 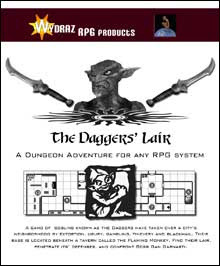 The Daggers' Lair can be inserted into nearly any fantasy campaign using any RPG system. 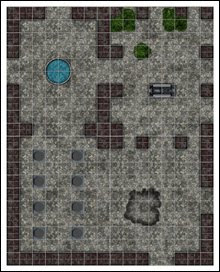 Includes Battlemaps for a small tavern and its' cellar. Bonus quick-start adventure may be used as a starting point for the Daggers' Lair dungeon adventure, or an adventure of your own design. 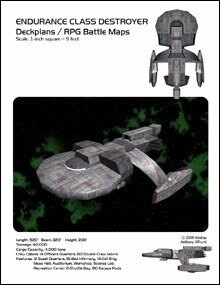 Create BattleMaps of any size Derelict Alien Starship, using up to twenty geomorphic maps including Corridors, Bridges, Engine Rooms, Crew Pods, and many other map sections. Sample assembly derelicts included. Using this universal system you can create anything from small derelict ships to gigantic abandonded space stations! Here is a sample of how the Flash Dungeon works. Check out the Flash Dungeon: Level 1 at DriveThruRPG. You can check out the sample dungeon at DriveThru or here. Build a massive dungeon or ruin site and get ready for a battle royale. 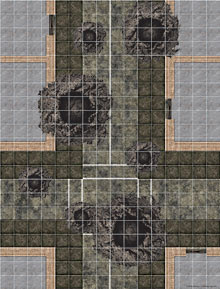 This set of battlemaps can be assembled multiple ways to form one large interior room. Print duplicate copies and they can be chained together to create a dungeon. 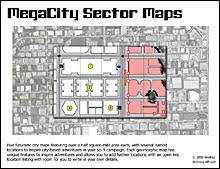 Five futuristic city maps featuring over a half square-mile area each, with several named locations to inspire city-based adventures in your sci-fi campaign. Each geomophic map has unique features to inspire adventures and allows you to add further locations with an open key location listing with room for you to write in your own details. Explore the galaxy in command of this stunning starship! Every corner of all four decks of the Endurance Class Destroyer is mapped out in full color at standard 5-foot per inch scale. Each deck is also presented with all features labeled, as well as map assembly sheets. Print only the area of the ship you need for battle, or paste together an entire deck, which can be almost 8 feet long! 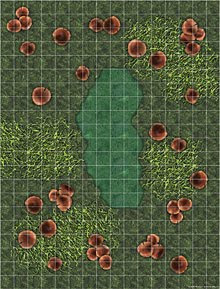 You can also create your own designs by mixing and matching map sheets for entirely new starship battlemaps. Features 13 Guest Quarters, 16-Bed Infirmary, 14-Cell Brig, Mess Hall, Auditorium, Workshop, 3 Science Labs, 2 Recreation Centers, a 2-Shuttle Bay, and 80 Escape Pods. A collection of 21 new alien races to introduce to your sci-fi campaign. They are presented as a set of new empires in an unexplored area of your campaign's galaxy, or as a new start for a new campaign. Each race has details on their societies, politics, and physiology, including levels of technology and psionics. Many ideas are included for adventures and interactions for encounters. Suitable for any RPG system. 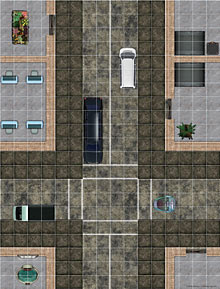 A set of full color battlemaps depicting the streets of a modern or scifi city. These geomorphic maps can be joined to form a massive area of city; the more copies you print, the larger your metropolis grows! Scale: 5 feet per 1-inch square. 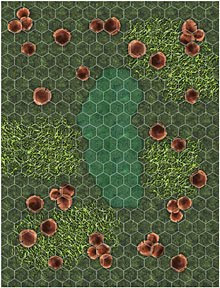 This full color 16 x 21 inch battlemap displays a pool in the center of a myconid cave or fungus jungle in exquisite detail. Giant mushrooms and tangled fungal growth act as obstacles surrounding a pristine pool of water... or something else. Scale: 5 feet per 1-inch square OR 1 yard/meter per 1-inch hex. Subterra is a melting pot and haven for the world's most opportunistic merchants, wiliest thieves, adept mages, and cunning warriors. This complete guide to "The City of Shadows and Magic" details the city's people, politics, guilds, and temples. Includes full color and greyscale maps of the entire city and its' subterranean evirons, with information on hundreds of buildings, including Lord Zod's Palace, the Mages' Guild, the City Arena, and all the taverns, shops, and temples. 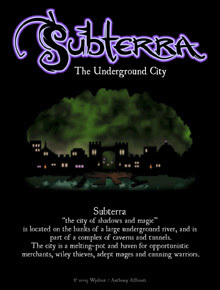 Subterra can be inserted into any fantasy campaign for any RPG. The guide contains many hooks for adventures, and has an 'Adventure Ideas' section detailing many more encounters and quests. For best results, your screen resolution should be at least 1024 pixels wide.